I love Sword Art Online, the anime. I must have watched the whole series at least a half a dozen times and never grow tired of it. The idea that there are these massive online fantasy games where you can play virtually as if you were really there was really appealing to me, especially in this day and age when VR is becoming more mainstream. Not only that, the characters themselves were also really interesting. So when I found out that there was an SAO game on mobile, well I just had to download it and give it a go. 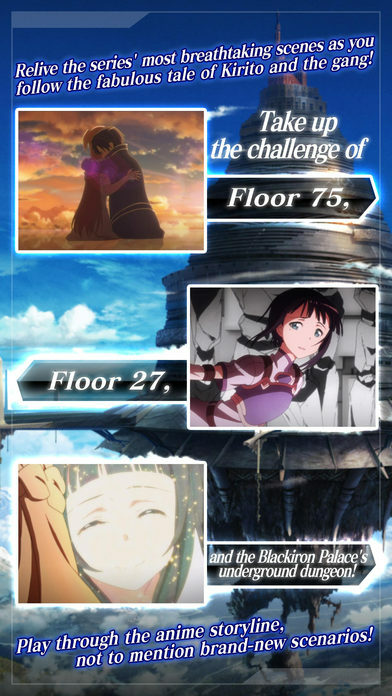 That game is Sword Art Online: Memory Defrag. We still don’t have the technology to play the type of games they do in the anime and while I did hear that they were building a VR SAO game, this will have to do for now. This game also isn’t an MMORPG. Instead, this is more like an arcade game with RPG elements mixed in. The core game is all action and resembles a side scroller fighting game. You have to manually input movements and actions using a series of taps and swipes but can move around freely around the screen. It’s not just side to side movement either as you can also move front to back as well as jump up and down. Combat is pretty basic, but there are more advanced skill you can learn such as parrying, switching, and specials. The game does a fairly good job of teaching these things to you early on. The RPG bits in the game come from leveling up your character and equipping items like weapons, armor, and accessories. These items can also be leveled up as well to make them stronger. Characters don’t just get stronger however just by level number or weapons but also by their stats. Stats can be further improved by unlocking attributes with special materials. The RPG elements gets pretty deep so you’ll want to spend time checking this area out. There’s actually a lot to do in this game, but it can be overwhelming for new players. It actually took me a week before I really got into it and figured out what the best way to play it was. Of course I had a little help from my son who mastered this game in a day. For beginners, the best thing you can do is just go through the story missions. It follows along with the anime so if you’ve seen it, you’ll know what’s going on. You’ll meet familiar characters – both friend and foe, as well as visit familiar locations. 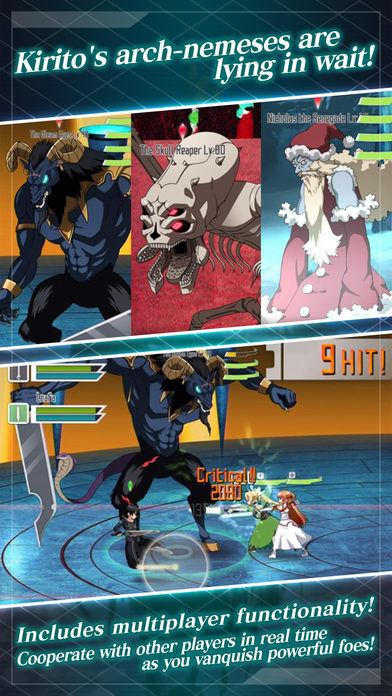 It’s pretty faithful to the anime so fans should really like this game. Also I suggest not using any of your materials yet to upgrade stats or weapons until you scout much better 4-star characters. Don’t waste them on 1-3 star ones. The game does have some issues though. For starters, the game does crash every now and then, but luckily for me that is, it always knows I was in the middle of a game and usually takes me back to that point. There also seems to be a lot of server issues. The game can also be difficult for beginners to get into as the combat system takes a bit of getting used to and the fact that you might have to grind your players to beat the higher level missions. 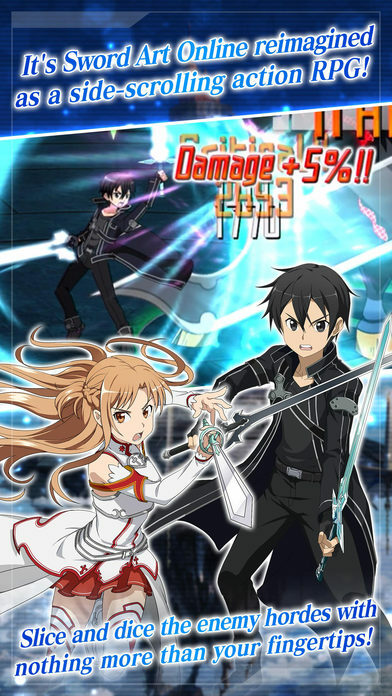 Aside from those issues, I’m really enjoying Sword Art Online: Memory Defrag now that I know ho to play it. It does take a lot of effort to level up your characters and gain diamonds to scout for more, but it’s fun. I like the fact that you don’t have to spend real money to get good at it or get good characters and items, you just have to spend a lot of time playing it. 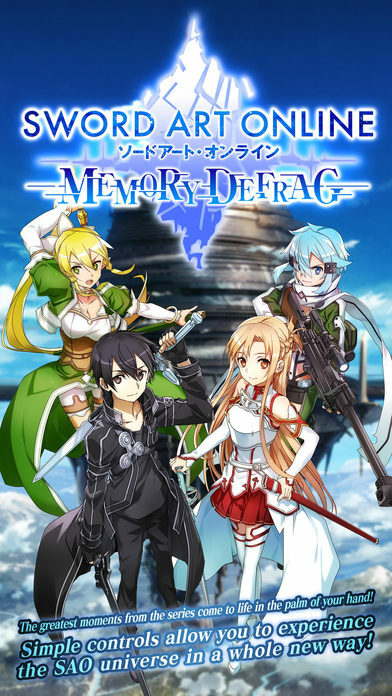 Sword Art Online:Memory Defrag is an action RPG in which you can both re-experience the story of the anime series as well as take part in a whole new original story. 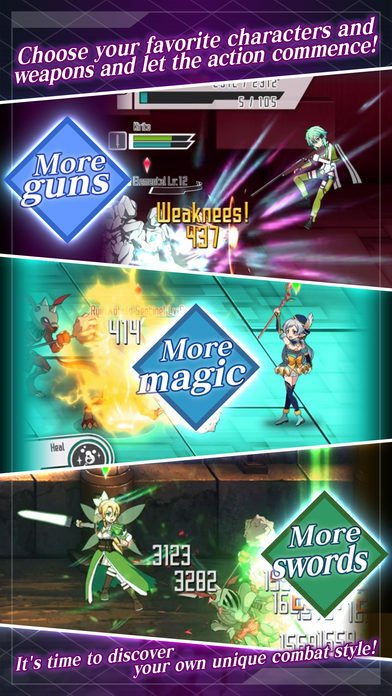 Kirito, Asuna, Leafa, Sinon, and a whole range of characters bursting with personality from the original novels and anime appear in the game. Control them freely with just one finger as you take down a range of powerful enemies and unleash various skills. Defeat enemies and complete each stage to progress through the game! In addition, you can ally yourself with friends or other users to defeat a number of huge and powerful bosses in multiplayer co-op mode. Enjoy a fresh and different play style with solo player mode as you assign each player different roles. Become a Healer, Attacker, or other roles. Unleash various combination moves with your allies.